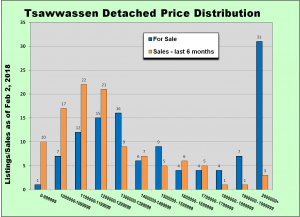 Thanks for taking the time to look at my monthly real estate update for South Delta. Here is a link to the complete set of charts and graphs. Here is a link to the Real Estate Board of Greater Vancouver (REBGV) media release. Detached sales were about 9% higher than Jan 2017 but still down 24.8% from the 10 year average. At 4204 units the listing levels are similar to 2015 & 2017 but still around 10% below the 10 year average. Townhome sales (319 units) were 25.6% higher than one year ago while listing levels are very similar at 974 units. 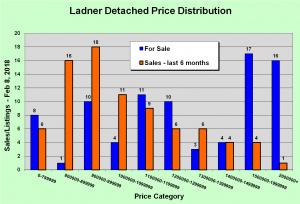 Apartment sales (1012) outnumbered the total of detached and townhomes and were 25.6% higher than the previous year. Listing levels (1769) are very low – 65% less than the 2013 – 2015 period. Detached HPI prices are up around 8% from their depths a year ago but have been holding fairly steady since the beginning of summer 2017. Townhouses had a 21% increase in 2017 but prices have leveled out since October. Apartment HPI has come off the torrid pace of the first half of 2016 (almost 30% annualized) to a consistent rate of a still high 20% increase per year since July. 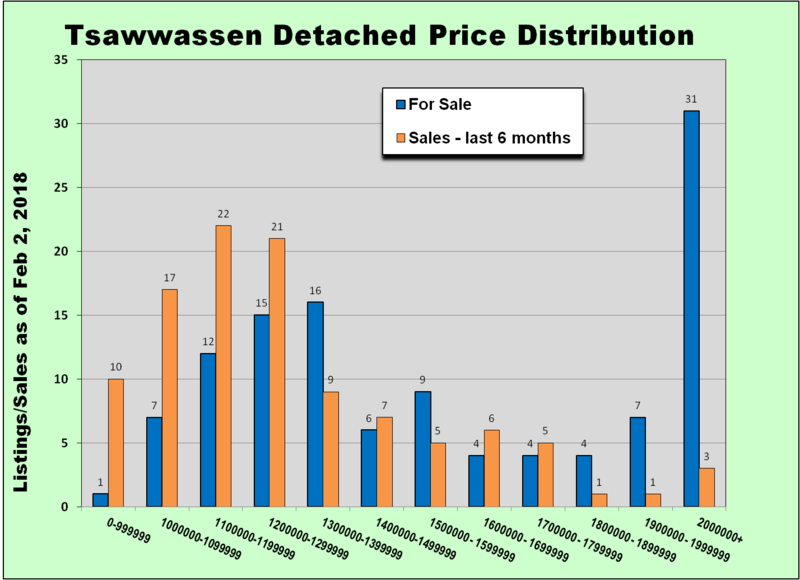 January was a slow start in South Delta with only 5 detached sales in Ladner and 9 in Tsawwassen. 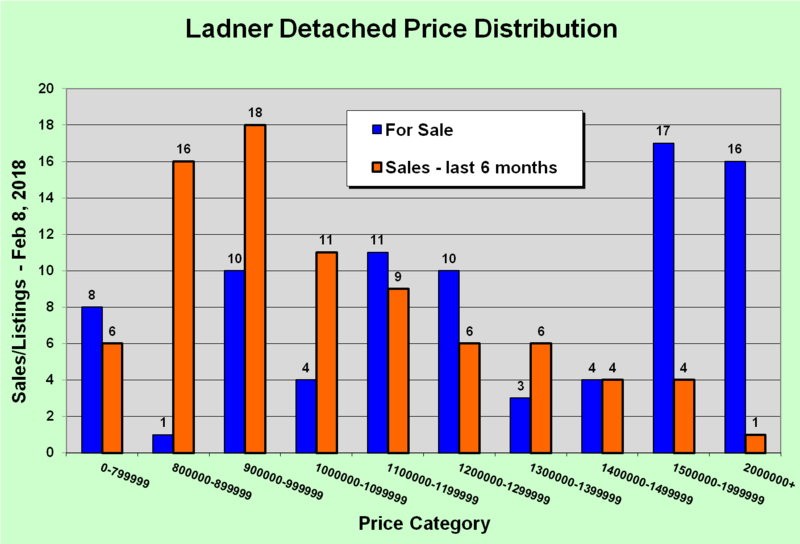 Listing levels however are down from a year ago, an interesting observation for homeowner confidence and expectations. Prices remain stable to softening slightly. As we move into what is traditionally the busiest market time of the year it will be interesting to watch the market dynamics! My usual graphs for these are for the previous 60 days of sales but I thought I would try something different over a longer period of time (6 months) to give readers a better idea of ‘what’s hot and what’s not’!